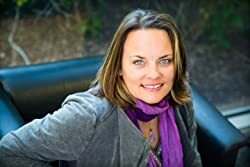 Auburn enjoys writing historical fiction, urban fantasy and contemporary short stories, almost always with a paranormal twist giving the dead a prominent role in her writing. When she isn't hanging out in cemeteries or doing genealogy, she enjoys her interaction with fellow authors in her various writing groups. She lives in the Pacific Northwest with her family. Please enter your email address and click the Follow button to follow Auburn Seal! Episode 4 in The Immortals saga. Kate continues to deal with the aftermath of meeting Michael, a centuries old vampire who is obsessed with her. When an ancient vampire's past collides with a young woman's future, sparks fly. He is bound by an ancient curse. She is the object of his affection. In the heat of the moment, Michael makes a decision that will unleash an evil on the small town of Shadow Hills, Oregon—forever changing the course of Kate Sheridan’s life. When an ancient vampire's future collides with a young woman's future, sparks fly! He is bound by an ancient curse. She is the object of his obsession. In the heat of the moment, Michael makes a decision that will unleash an evil on the small town of Shadow Hills, Oregon—forever changing the course of Kate Sheridan’s life. He is bound by an ancient curse. She is the object of his obsession. In the heat of the moment, Michael Frost makes a decision that will unleash an ancient evil on the small town of Shadow Hills, Oregon—forever changing the course of Kate Sheridan’s life. The long awaited finale of the Immortals, Episode 5 is the thrilling conclusion of Kate and Michael's saga. Will they overcome evil? Will they find love? Or is that just a fairytale? Meet Catherine in this short psychological thriller. Watch her painful struggle to function in toxic, dysfunctional relationships. In a choice between survival and friendship, Catherine's mind can only take so much. Grace Carson is desperate to find her sister who disappeared under mysterious circumstances. The search takes her to a strange world with supernatural creatures. Philip Daventry offers his assistance, but will trusting Philip be the biggest mistake she’ll ever make? Serena’s normal day takes a fated turn after a random encounter and she is forced to face her fears. But what if everything isn’t as it seems? Two compelling short stories that will stay with you long after the last page. The Dark Minds: A Psychological Thriller Duet includes short stories The Strong One, and The Scent of Death, plus samples from Auburn's historical paranormal Roanoke Vanishing. Is your mind dark enough to guess what's coming next?